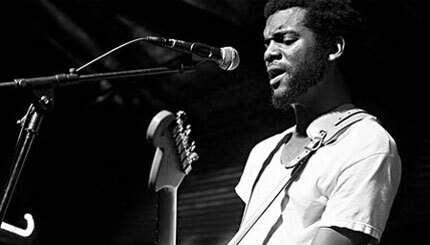 Gary Clark Jr., acclaimed as the savior of blues, is an American guitarist and actor considered by some to be the leader of the Austin, Texas rock scene, offering a style that has at times been compared to Jimi Hendrix and Stevie Ray Vaughan. As a musical prodigy, Clark has established a well renowned resume, which has helped place him on a tier with musicians who have enabled him to share the stage with various legends of rock & roll. His live performances, as well as recordings, freshly blend rock, soul and blues, infusing fluid, powerhouse guitar with a guttural howl and a seamless falsetto trill that melts itself together somehow. Despite his roots, Clark comes across as someone who is forging something that is uniquely his own in the music world. More specifically, his latest EP debuts his ability to explore the full spectrum of genres of music, while demonstrating his independence and distinctiveness from the heavily saturated music industry.